I still have kinder kids who are having trouble associating a number to the quantity they are counting. 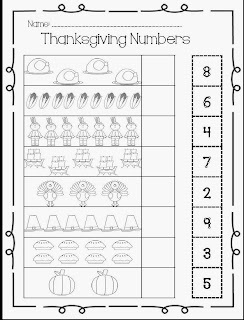 I created this counting worksheet so that my kinder kids can have a visual right on their paper. I hope it'll help your kiddos too! Happy Thanksgiving! Click HERE for the Google Drive FREEBIE!